The annual winter gala night was held on Saturday, 11 July 2015. As per tradition the 120 guest arrived for Blanc De Noir sundowners at the Wine and Wildlife project. As always spectacular place and wine. After this the main event was held where all guests scored the 3 Unesco985 blends that was prepared. The final result was a dead heat 39% eack for blend 1 and 3 with blend 2 getting 22%. It is thus agreed by general consensus that the Unesco 985 blend for 2013 will be. After this the new barrel store was officially opened with a 3 course food and wine pairing dinner. 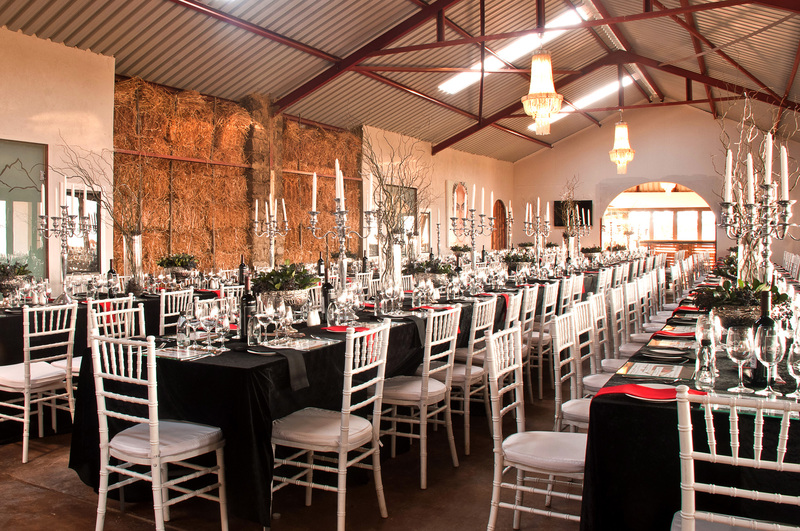 There was a lot of talk about San Henge and Zero Footprint lifestyle- all stimulated by the stunning setting and build style of the hall/store where the function was held. It is somewhat special to enjoy good wine with good company in building with character. This entry was posted in Drakensberg, Events, News, San Henge Project, Uncategorized and tagged Gala Evening, Unesco 985. Bookmark the permalink.